So as every parent knows and probably has known for the last week or so, today is world book day. 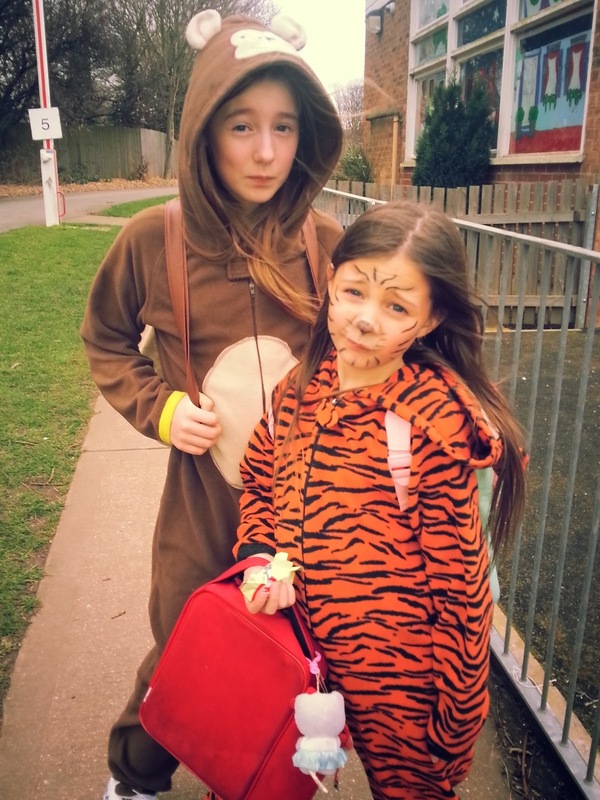 In true organised mummy style, for the past week I have visited almost every online fancy dress retailer, questioned other parents, asked on Facebook and read blogs all in the aim of creating/buying the perfect outfits for my 2 youngest children…..
Now I’m not sure who stole the rest of the week away but they did, suddenly I remember how its world book day TOMORROW!!! So off I go to every shop and supermarket within 10 miles, searching for either, A: a couple of plain red t-shirts that I can swiftly turn them into Thing 1 and thing 2, or B: a readymade costume suitable for the day. So we search, we search and then we search a bit more. Nothing! I couldn’t really believe it when they both replied yes, Result! So this morning my girls got dressed into their pyjamas and off they went happily to school to celebrate world book day.